1.Click on Start–>Search–> All Files and Folders. 2.Right-click on file and choose properties . 3.Open a Command Prompt window . 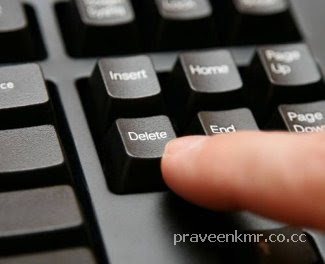 4.Now press CTRL+ALT+DELETE to Open Task Manager. 5.Click on the Processes tab, click on the process named Explorer.exe and click on End Process. 7.Go back to the Command Prompt window and change to the directory where the file is located. 8.To do this, use the cd command. 9.Type DEL where is the file you wish to delete. 11.In Task Manager, click File, New Task and enter EXPLORER.EXE to restart the Windows shell. This is little tough Procedure for Newbies.So,if you want a Simple method just download and use Unlocker. do u have UNLOCKER.exe which runs in windows se7en…?? ?